We believe in decent, affordable housing for all. Our Sanctuary Bond by Equfund is designed to raise emergency funds to combat the UK’s escalating homelessness problem by providing emergency accommodation to those in urgent need. We call on everyone to join us in helping to stop the scourge of homelessness. 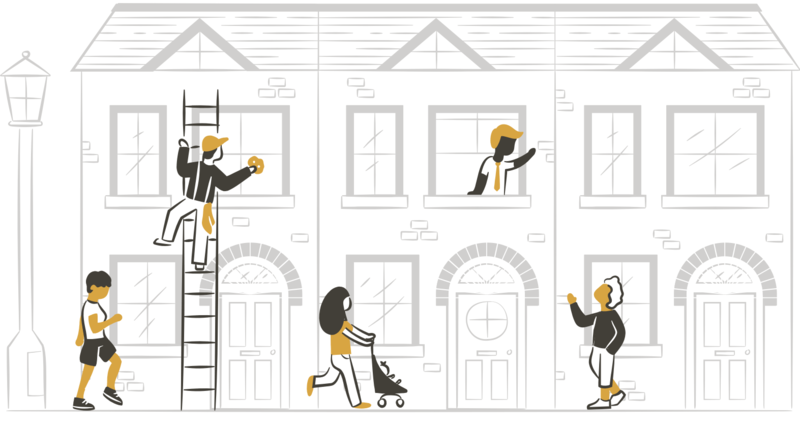 We are raising up to £5 million which will be used to purchase and renovate properties to let to people who don’t have a permanent place to live. Since 2002, we have found homes for thousands of people through investments of over £32 million. Previously, our focus was on buying and refurbishing long-term empty properties. However, the Sanctuary Bond by Equfund signals a new priority to help those with a more urgent need for accommodation. Ted is a retired charity worker and has rented his home from Equfund since 2014 with his dog. Originally from Jamaica, Ted’s work as a ship’s steward work took him around the World and the last ship he worked on was in the Bering Sea near north-east Russia. “It was so cold the water turned to ice instantly.” A couple of Scousers advised Ted to move to Liverpool and they’d help him find work. His friend Margaret recommended an Equfund property in her street and put him in touch. Ted secured the property next door to Margaret and settled into the community well. He’s regarded highly by neighbours who often go to him for advice. When I moved into this property I said, “you’ve landed on your feet here Ted.’ I love this place, I couldn’t be happier. I close the door and don’t worry about a thing.